Combining flash technology with a hard drive platform, the FireCuda 2.5in flash-accelerated hard drives represent the fastest 2.5in hard drives available. Play faster, work smarter. FireCuda drives meld the latest SSD technology with a standard hard drive for a compact blend of capacity and speeds up to 5× faster than typical hard drives. Hate waiting on your game or application to load? FireCuda blends SSD technology and a standard HDD, resulting in performance similar to an SSD but with all the capacity you expect from an HDD. It’s the perfect upgrade for gamers, creative professionals and PC enthusiasts. With up to 2TB of storage, FireCuda makes deleting games and files — to free up disk space — a thing of the past. Perfect for gamers and creative professionals who want it all, now. 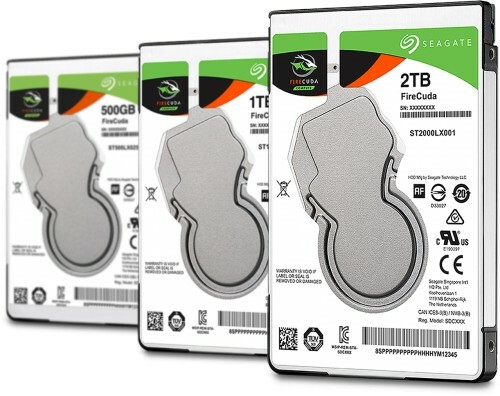 Enjoy up to 2TB of space on 2.5" HDDs - Eliminate the need to uninstall games in order to make room for new ones - Store up to 40 games per TB (at 25 GB per game) with the 2 TB FireCuda SSHD! 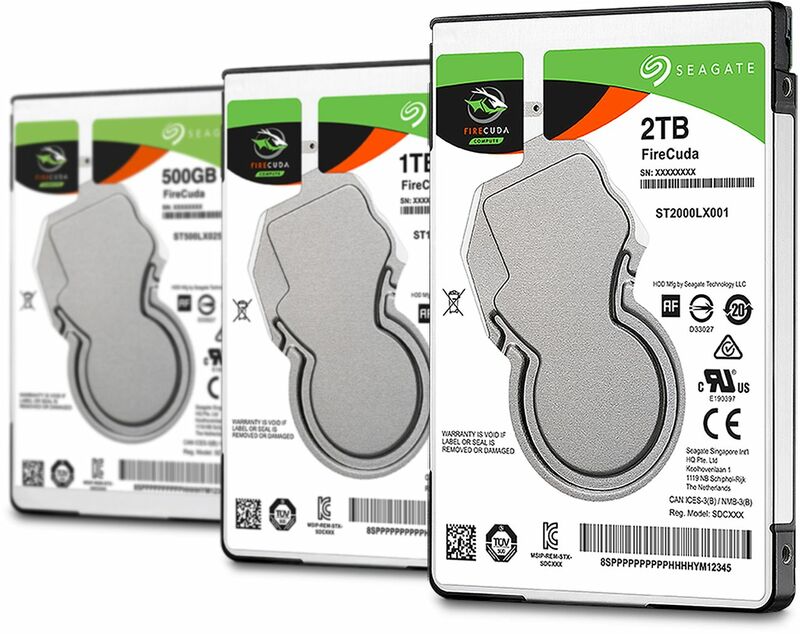 Don’t fret about Seagate storage reliability. FireCuda SSHDs are backed by an industry-best 5-year limited warranty. A warranty that beats most competitive drive warranties by up to 2 or 3 years. The cutting edge has never felt so safe. Potentially lower your overall costs and increase your capabilities with the FireCuda. FireCuda 2.5" SSHDs are performance-tuned to draw less power than competitors’ offerings. Reducing power consumption and heat generation helps increase system performance and improve durability, especially when playing games and running multiple applications. Hybrid technology allows the SSHD to limit drive access, saving power. Lower power components create less heat — resulting in better frame rates and computer performance!